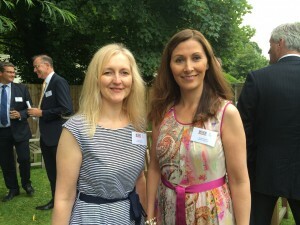 Sarah Robinson and Karen Murrin attended the President’s summer reception on Tuesday 24th June 2014 at the Priesthouse Hotel, Castle Donnington. The event was held to celebrate with and thank those who had been members of the Chamber for 5 years or more. Sarah Robinson the Managing Partner of Premier Legal joined the Chamber shortly after setting up the Firm and was delighted to receive her certificate marking her ten year membership and to attend the event.